These durable nylon halters with fleece padding are are tough enough for every day use or keep it for a backup. 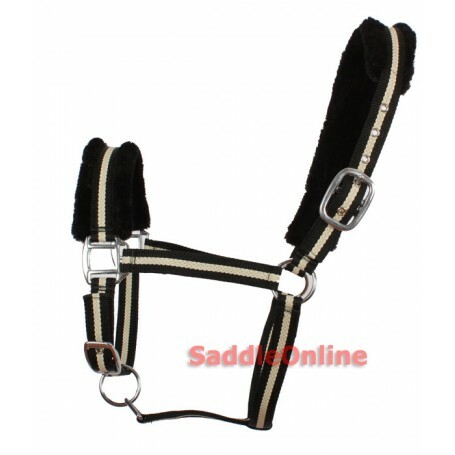 The top buckle offers a customized fit to the size of your horse's head. Double Reinforced nylon and double stitching provide strength and durability. You can't go wrong with this wonderful halter!